Will David Villa leave Barcelona this summer? David Villa came back from his horrific injury recently in a friendly for Barcelona and has vowed to become a better player but will he be given the chance to shine at the club once more? You would imagine that they will give him the opportunity to get back to his best but with them not winning La Liga or the Champions League last year they may not want to take the risk and bring in a striker that is 100% fit and in form which means that he may get shipped out, most likely on a permanent transfer with him being 30 now. In his two full seasons at Barcelona he has scored 32 goals with 23 coming in his first season so they may look at that and see he is was already on the decline anyway. He only managed to score five goals in 15 appearances in the league last season and is that really good enough for a team like Barcelona with all the chances that they create? To me David Villa is still one of the best strikers in the world as not many can match his movement and finishing ability and should be playing for the best team in the world but if they don’t want him where should he go? Arsenal could be very keen on the striker especially if Robin Van Persie gets his move away from the Emirates and it could potentially be a swap deal between the two as they are a similar age but I think Arsenal would be getting the better of the deal if Villa can get back to his best and adjust to the Premier League. There are a lot of ifs there but I have no doubts he would be successful in England and would be vital to Arsenal’s challenge for the title. Manchester City have also been linked with a move for Spain international with them seemingly missing out on Van Persie (this transfer is starting to get on my nerves now, the player needs to leave and Arsenal should accept an offer around £15 million). Roberto Mancini has been linked with quite a few strikers but to me none of them are at the same level as Villa and it would be frightening strike force of Sergio Aguero, Carlos Tevez, Mario Balotelli and David Villa. This would obviously mean that Edin Dzeko would have to leave. Finally, Liverpool have been linked with him for a very long time, I believe since Rafael Benitez was the manager when he wanted Fernando Torres and Villa to be his front two but it didn’t ever come to be but since then no matter how Liverpool have been doing his name is always linked with Anfield. I really cannot see this happening even if he would enjoy their managers style of play, the lack of Champions League football and the fact that they aren’t genuine title contenders will put him right off the move. Who will Robin Van Persie sign for if he is allowed to leave Arsenal? The transfer saga that will dominate the headlines this summer will once again involve Arsenal and their captain. 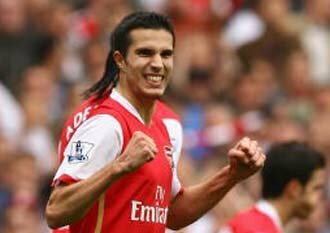 This time it is Robin Van Persie when in previous years it has been Cesc Fabregas, however it does still go even further back than that with both Thierry Henry and Patrick Vieira getting linked away from the club every summer. I am not going to go into whether Arsenal are a ‘selling club’ or not because they in my opinion work the transfer market the right way by basically living within their means and even though the fans may not like it, they must accept it. I am going to focus more on Van Persie and you can see why he is being linked with the champions from a lot of countries around Europe after last season as he was phenomenal and was probably the best player in the Premier League. He scored 37 goals last season in all competitions but Arsenal still failed to win a trophy and you can understand the reason he wants to leave the club as even with his impressive goal tally, they never looked like winning the Premier League (mostly because of a poor start) and were easily knocked out of the Champions League after a very poor first leg. Most clubs in the world would love to have the Dutchman in their squads but surely there are only a few that he would want to join. Unsurprisingly, Manchester City are the favourites to sign him and out of everyone in the Premier League I personally think this is the only team he would contemplate signing for. City have bought quite a few players from Arsenal including Samir Nasri last summer so they know they can do business with Arsenal and they won’t refuse to sell RVP to them. But in my opinion they would have to sell a striker first as they have Edin Dzeko, Carlos Tevez, Sergio Aguero and Mario Balotelli all fighting for a first team place already. Personally, I would only have Van Persie over Dzeko so I don’t see the need of them signing him but they will probably try anyway. Juventus are also heavily linked with RVP and you can see it is because they lack a real goal scorer in their team and if they want to challenge for the Champions league next season then they most definitely need more goals in their side with Alessandro Matri only getting 10 league goals and Mirko Vucinic not even hitting double figures, they need someone that is going to get at least 20 goals. Andrea Pirlo showed at the Euros that he can still be a brilliant player and RVP would score goals for fun with his playmaking abilities. At times, Van Persie made Alex Song look like a pass master with his movement so imagine how good Pirlo will look. Finally, Barcelona are also linked with him and yet again it is not very surprising to see their name come up however some of the rumours are. 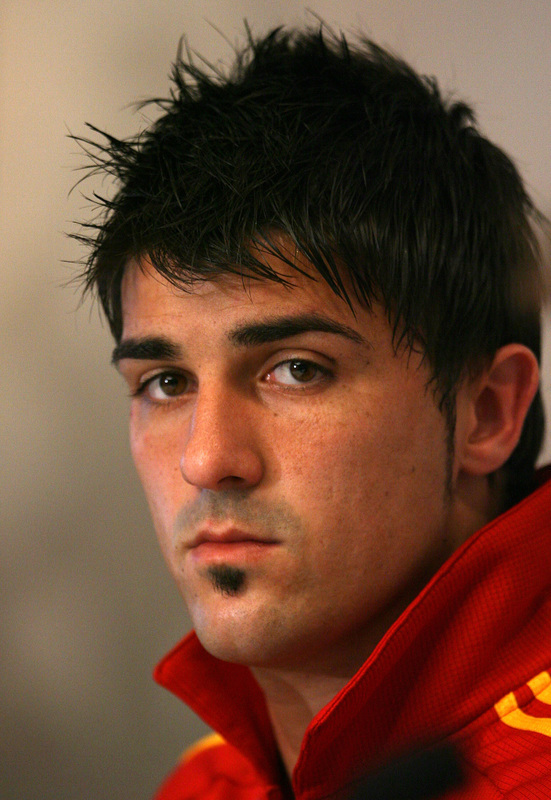 If they sign the Arsenal man, they may be looking to offload David Villa who is now 30 and has been out for eight months with a broken leg. If I was negotiating this deal I would definitely try and make it a swap deal. I think Villa is a better player than Van Persie and if he can recapture his form before he suffered his injury then he could actually make Arsenal a better team.